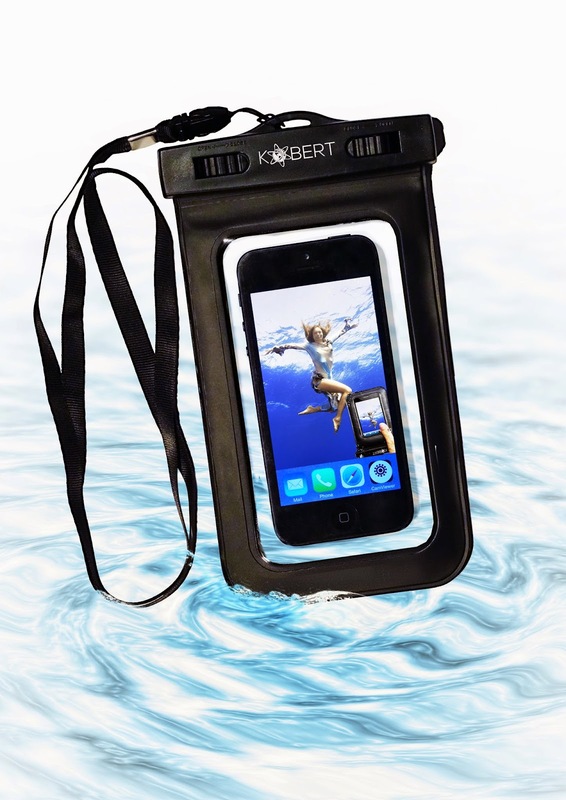 Use our Kobert Waterproof Case to keep your phone dry while you swim, ski, hike, surf, canoe, snowboard, jetski, fish, snorkel etc. This provides you freedom to take your mobile phone with you wherever you are. You can use your mobile phone while in the waterproof case and use both front and back cameras on your phone because the waterproof case has a see-through window on both sides. -Crystal clear see-through plastic on both sides for amazing pictures & movies under the water! -Easy access to your touch screen phone while in the case! -Universal bag that can be used for any device. -Will fit an iPhone 6, 6 Plus(Without Case),5,5s,5c,4,4s,3,Samsung Galaxy s3,s4,s5,Note 2,Note 3,Note 4,Nokia Lumia,Windows Phone 8x,Nexus 4,HTC One/One X/X+ & many more! I was very glad to review this product because I was looking for something I could use to keep my Galaxy S4 safe, not just for the beach this summer, but also I was thinking this would come in real handy for this winter when we go sledding. My phone did fit good. Some phones you may have to take it out of the case or otter box. So, the first place I tried it was in the sink. It worked pretty good. Next, I tried it in the shower... Again, not bad. I had a few drops in it, but not bad at all. The best part was that I was able to text and write an email while showing... Not that is something I do on a daily basis...Lol! But, it shows you that I was able to use the touch screen without any issues and I was even able to take pictures through the plastic. This might come in handy when I go to the beach. I might be able to get some really cool under the water shots. I found the way it closes to be very interesting. It has a clamp which provides a tight seal and two rotating locks that tightens and securely holds the clamp together. I would definitely recommend this product if you have plans to go to the beach, pool, water parks, etc. Using this product is definitely better than using nothing. If you would like to try it out for yourself, you can purchase the Kobert Waterproof Case for iPhone 6, 6 Plus, 5s, 5c, 5, 4s, Samsung Galaxy s5, s4, s3 right now from Amazon!